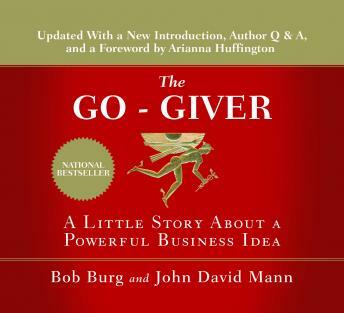 Listen to "The Go-Giver, Expanded: A Little Story About a Powerful Business Idea" on your iOS and Android device. This book is used to recruit people for MLM. Had some random couple strike up a conversation and ask to keep meeting up. 2 meetings in, it is clear what is happening. The list describes them to a creepily accurate extent. Has changed the way I look at and treat others. I think it's a great way to do business. Loved the book, fabulous story and life lessons. Has made me reconsider how I add value. Enjoyed the book. really was surprised at the results. Karma.